We have been working behind the scenes to get Rough ‘N Tough in motion. We want to invite you all to one BIG informational meeting about what opportunities are available. There are opportunities to serve right now until that day, on the day of the race, and post-event options. Please join us on Sunday, May 19th at New Hope-Cambridge in The Shop from 4:00-5:00pm. To plan accordingly please RSVP to [email protected] or text/call 763-227-5955. If you are not able to attend and would like to be a part of the “Task Force” in some capacity, please let us know. 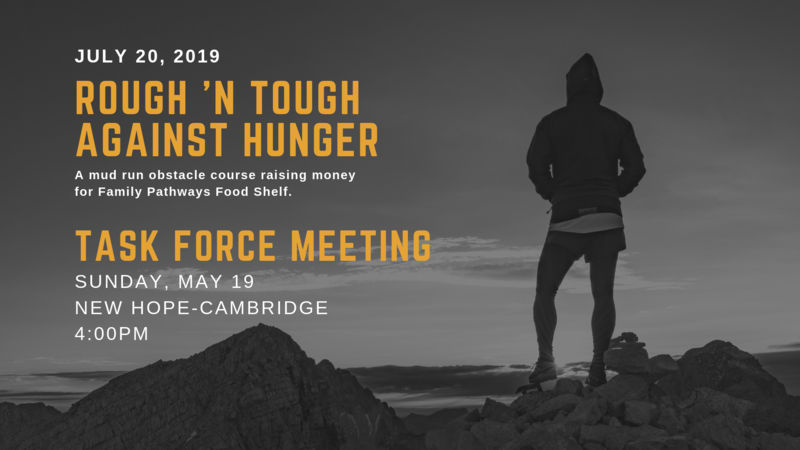 Learn more about the event at roughntough.org.